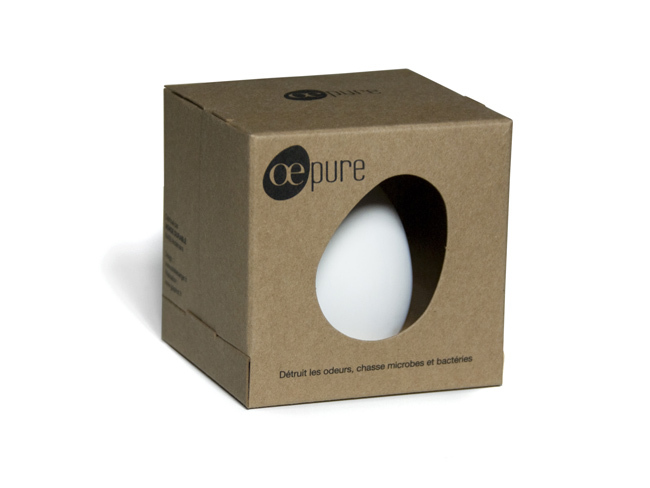 Oepure is an "egg" with photo-catalytic properties made of Japanese ceramics. Anywhere in the home, from the bathroom to your refrigerator, it absorbs and destroys smells, bacteria, moisture and even VOC. Its action lasts for years, and simply regenerates with sunlight. This innovative yet very simple product deserved a case displaying its qualities : delicate, environment-friendly, easy to understand and to use. I designed the logo and packaging with these keywords in mind. 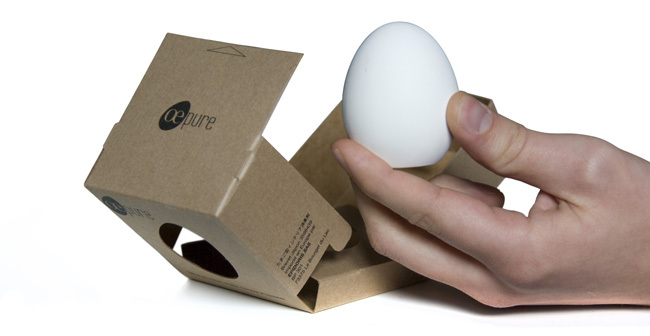 The result is a simple cardboard case with an egg-shaped window, slowly unveiling the egg by opening like a flower around it. 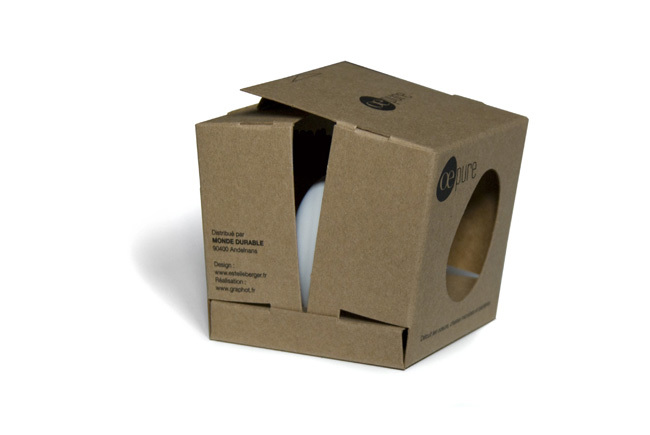 To be more Eco-friendly the recycled cardboard box is printed with a vegetal ink, and folds without any glue. Designed by Estelle Berger, France. Looks fantastic !! 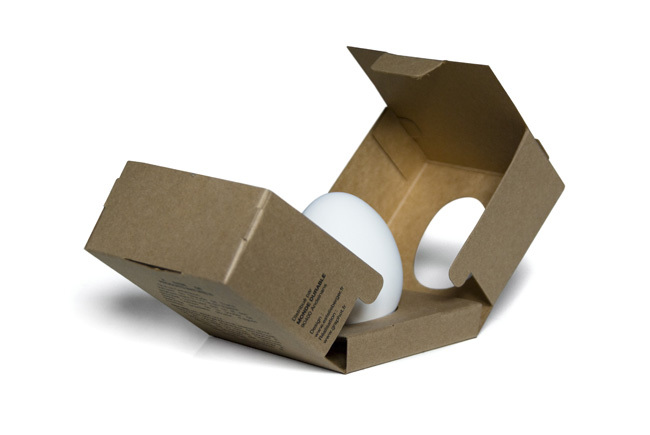 Brilliant packaging idea, love the way it opens and reveals the egg. Very creative and imaginative. An eye-opener for sure. Very Dramatic! The package invites you to inspect the product. I would buy one!